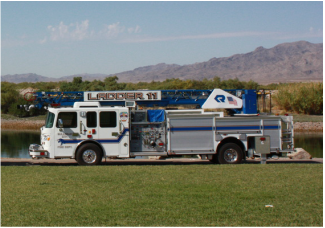 In 1970, the Bullhead City Fire District acquired some federal land on Hancock Road. The building of Station 1 was started in August and completed in November 1971. Late 1997 saw a considerable remodel to Fire Station 1. This remodel expanded the living quarters and provided much needed space for a rapidly expanding department. Station 1 is also the home of the administration offices. ​ We are producing our own Energy! ​was installed at Station 1. 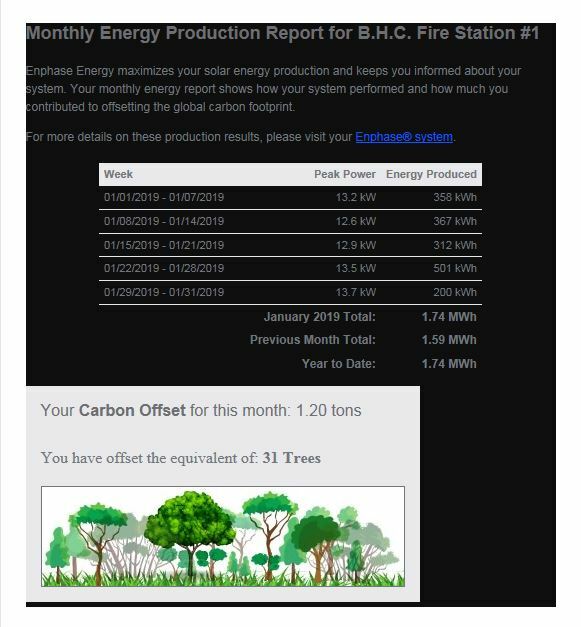 You can view this month's Energy Report below!